“A Congressional intern yelled Mr. `President, F-k You` as President Trump walked through the Capital rotunda on his way Tuesday night for a talk with legislators about immigration. 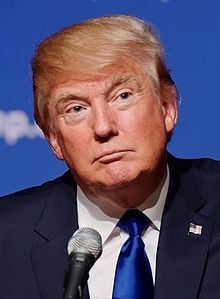 If by happenstance you found yourself just a few yards away from Donald Trump as he quickly walked by on his way to a meeting, what if anything, would you say to him? Keep in mind that he`s going to be within earshot for just a few seconds, so your message must be concise. Trump`s sycophants and enablers tickle his ears all day long and he doesn`t need to hear another compliment or his super-sized ego might burst. Even if I was a lowly Congressional intern and any outburst directed at the president would mean the end of my career before it got started, I would curse him out. This young woman, who has yet to be identified, is a patriot and if she`s fired I hope she`s offered an important position by a fellow patriot. The Capitol Police are said to be on the lookout for her, but I`m not sure what they could charge her with, considering she was only exercising her First Amendment right of free speech. I`m not a young intern, I`m an old fart who has been around the block a few times, and I`ve met many pompous jerks like Trump, and I know how to treat them. I would yell an obscenity at Trump, knowing full well that it wouldn`t temper his behavior or cause him to reconsider his racist policies. But I would be satisfied knowing that the insult would penetrate his thin skin and bother him for the rest of the day. A monster like Trump doesn`t deserve a minute of peace.